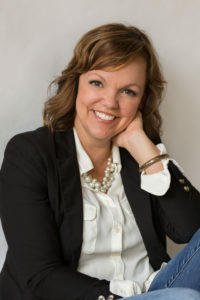 Memoir Archives - Joelle Delbourgo Associates, Inc. Thanks to veteran editor, Alan Rinzler, for including me in this insightful interview with some esteemed colleagues. Memoir is so popular, but also challenging to publish. Here’s what you might want to think about in relation to crafting and publishing a memoir. We are so thrilled that Laura Sobiech’s memoir, FLY A LITTLE HIGHER, has been selected as the very first Target Holiday Book Club Pick this year! Starting December 2, 2014, a new special edition will be available exclusively at Target. It offers a handful of special bonus materials, including in-depth Q&A with author Laura Sobiech and discussion questions for the reader. 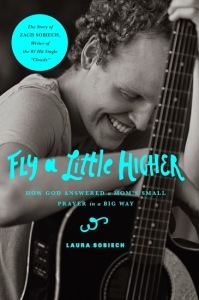 Laurie Sobiech visited with Katie Couric yesterday to talk about Zach’s life and legacy a well as her new book FLY A LITTLE HIGHER, which is soaring up the charts. If you missed the show, here is the link! Laura’s week started with a huge book signing and concert in the Mall of America which coordinated with the release of the deluxe FIX ME UP CD/DVD featuring all of the songs and music videos shot by her son and his band mates before his death. The week ended with a heart-warming interview with CNN’s Bill Weir. Bill later tweeted “I nominate Laura Sobiech for Mother of the Year.” We second that nomination! I n 1949, author Dorothy Foltz-Gray and her identical twin sister, Deane, were born. In 1981, Deane, then a psychologist, was fatally shot by one of her patients. In the years between, the pair formed an almost supernaturally close bond, one so intimate that at times, their memories fused and their individual identities dimmed. Here, Foltz-Gray, an award-winning poet and journalist, recounts not only the extraordinary phenomenon of growing up in a world that could not distinguish her from another human being, but also the struggle to survive the loss of her twin. With and Without Her is the story of what happens when a life divides into before and after. It is a story of identity and individuation, confusion and competition, intimacy and separation, violence and murder. Most of all, it is the story we all face, of loss and survival.